A good night of sleep is something that everyone needs in order to feel and perform his or her best. If you’re experiencing a decline in the quality of your sleep that causes you to feel fatigued and sluggish throughout the day, low testosterone levels may be to blame. 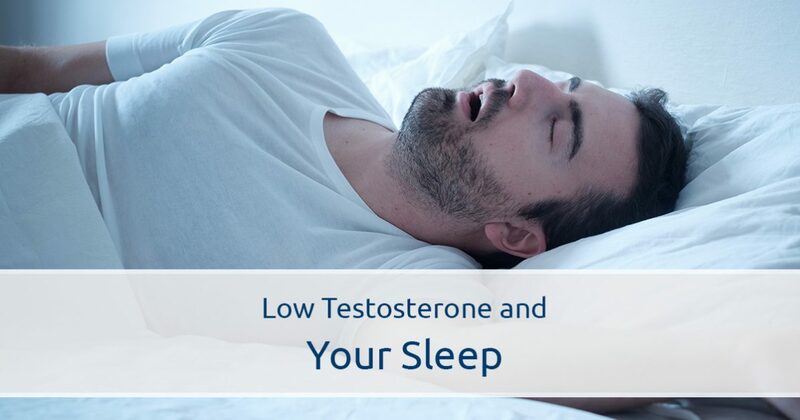 If you’re concerned about the quality of your sleep or your testosterone levels, contact Men’s Vitality Center in Tucson at 520-399-6574 to schedule an appointment. We’ve helped hundreds of men get the restful sleep they need to feel their best. If you find it difficult to fall or stay asleep, a number of factors could be negatively affecting your sleep patterns. Stressful events, your diet, and your activity levels can all affect the quality of your sleep each night. Do you have a large project at work coming up that’s on your mind? 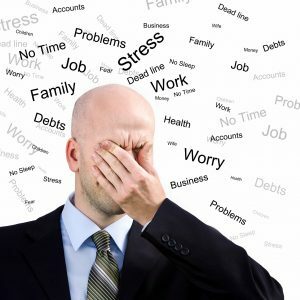 Your body may be releasing cortisol, the fight-or-flight hormone, to prepare your body to deal with a perceived threat. Among other negative effects, persistently elevated cortisol levels can lead to poor and disrupted sleep. Do you smoke or drink alcohol? Both of these lifestyle factors can disrupt your body’s natural sleep cycles and leave you feeling unrefreshed and fatigued the next day. Even if you live a healthy life, testosterone levels begin to decline in men starting around age 30, and this downward trend will continue with age. Many men with lower-than-average testosterone levels will experience sleep disruptions not because they’re stressed or inactive, but simply because they have low testosterone levels. The body produces the majority of its testosterone during rapid eye movement sleep, also known as REM sleep. However, low testosterone levels can make it difficult for the body to remain in REM sleep long enough to produce normal levels of testosterone. Low testosterone levels thus have a cyclical and detrimental effect on sleep quality that can be difficult to address without the help of a men’s health expert. One of the primary symptoms of low testosterone is a persistent feeling of fatigue and drowsiness throughout the day. If you suffer from low libido, decreased motivation, difficulty concentrating, and frequent sleep disturbances, you should consider speaking with your doctor about your testosterone levels. Testosterone replacement therapy has helped thousands of men in the United States improve the quality of their sleep and their overall quality of life. At Men’s Vitality Center, we use testosterone injections to provide our patients with the fastest and most effective form of testosterone replacement therapy. The vast majority of men who begin receiving testosterone replacement therapy to treat their fatigue and sleep disruptions see a marked improvement in their symptoms within the first two to three weeks. If you’re interested in learning more about low testosterone replacement therapy or about how your testosterone levels may be affecting your sleep, contact Men’s Vitality Center in Glendale today for an appointment! You can reach us by phone at 520-399-6574 or through our website. We look forward to speaking with you.